Pound is in a critical moment right now and probability of the England exit from the European Union will apply more pressure on this currency. 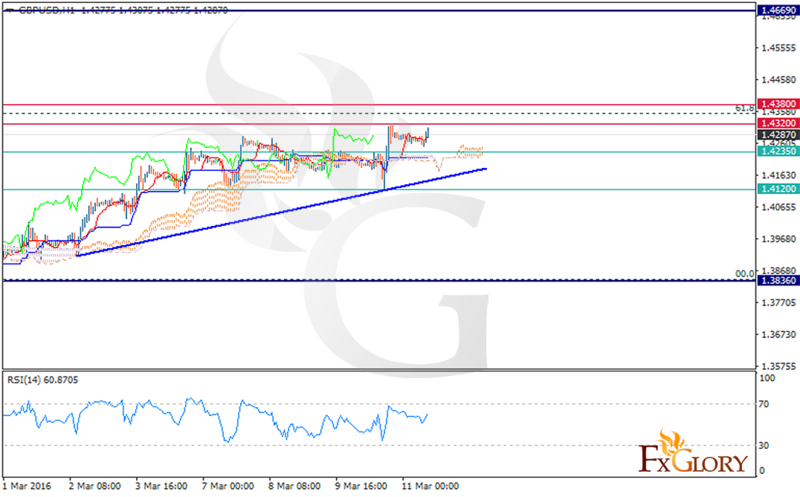 Now the support level for GBPUSD is settling around 1.4235 and 1.4120 and the resistance at 1.4320 and 1.4380. Yesterday’s price growth cheered up buyers and may continue its growth to 1.4350-55 as well which is the 61.8% Fibonacci retracement of 1.4669-1.3836. The Ichimoku indicator is still signaling a strong buy opportunity as the price is above both the Ichimoku Cloud and the Chinkou Span and both Tenkan-sen and Kijun-sen are pointing an upward trend.